Just as cloud computing becomes the de facto IT service delivery model norm, the pendulum is starting to swing in the other direction toward edge computing. Cloud computing emerged because mass centralization promised greater cost efficiency and less CapEx pressure. Now, use cases for the cloud have come into focus and Internet of Things demands are shifting attention from centralization to dispersion. As a result, edge computing is approaching peak hype. 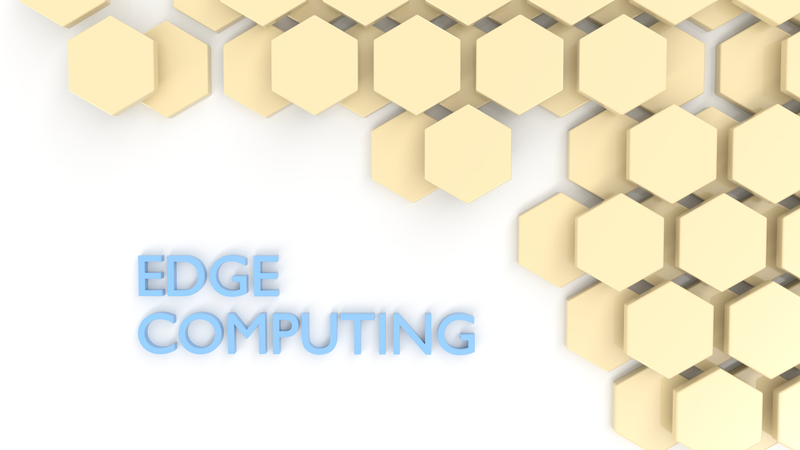 But amidst all the market hype surrounding edge computing, it’s easy to lose sight of its true value. That’s why we need to cut through the noise and remember what edge computing is and why it’s so important for IoT success. Believe it or not, the roots of edge computing can actually be traced back almost two decades. Think back to the early content delivery networks (CDNs) that promised improved web performance. These CDNs relied on nodes close to users to cache web content, reducing latency and opening the door for location-specific delivery. Fast forward and now edge computing is taking advantage of cloud technology to take early CDN functionality many steps further. A distributed IT architecture in which client data is processed at the periphery of the network, as close to the originating source as possible. The move toward edge computing is driven by mobile computing, decreasing costs of computing components, and the sheet number of IoT devices. The goal is to enable IoT devices to do more than just collect data and transmit data to centralized clouds. Instead, edge computing enables IoT devices to process data closer to the source, streamlining traffic flows for more real-time analysis. In short, edge computing places processing power in close proximity to IoT devices. But why does proximity actually matter? So, we know that edge computing decentralizes compute services and moves them closer to sources of data. On a high level, we know this approach reduces latency by virtue of reducing the volume of data that has to travel long distances to and from data centers. Make Cloud Service Highly Responsive: There are limits to how much you can optimize connections between IoT devices and central data centers. Every second of latency counts when you’re dealing with AR, VR, and other real-time applications. Close proximity achieves lower end-to-end latency, frees up bandwidth, and lowers jitter to services at the edge. Enable Scalability with Edge Analytics: “Dumb” IoT sensors simply collect raw data and stream it back to central data centers via cloud connectivity. The bandwidth needed to support these streams is significant—and unscalable. Edge computing enables IoT devices to locally analyze traffic, transmitting only the data necessary for central use. Survive Cloud Outages: Cloud service downtime, network failures, and DoS attacks are commonplace these days. But with edge computing, IoT devices become resilient and help services remain available temporarily in cases of failure. Despite discussions about whether or not edge computing will replace cloud computing, the reality is that they’ll always work together. In fact, Edge computing has been a driver of innovation within OpenStack, the open source cloud computing project. The real question is—where does computing go from here? Even though the relationship between edge computing and the cloud is clear, there are still challenges to address before you maximize returns. For one thing, spreading computing power across a highly-distributed network of IoT devices makes it harder to manage security, configuration, licensing, and more. The key is to unify delivery of your networking services to ensure quick and reliable deployment of clouds that will drive edge computing forward. Our white paper, Building Distributed OpenStack® Clouds, sheds light on this challenge and explains how you can unlock all the benefits of edge clouds.